Father didn’t own a car, so he and Salvina mounted their bicycles for the trip from the mountainside town of Ragusa. They were joined by a friend, Giovanni Giallanza, the first Seventh-day Adventist in Ragusa. Giovanni had led Father to the church after learning about Adventists in Belgium. After some time, the two men and girl arrived at a family home in Rosolini. Neighbors excitedly poked their heads out of doors and windows. “Who are these strangers?” asked one. “What are they doing here?” said another. The neighbors followed the visitors into the house. Soon the house was packed with people. The man who had invited Father asked a question from the Bible. Father opened his Bible and showed the answer. The man asked another question, and Father replied. Two women didn’t seem happy with the answers that Father gave, and they left the house. About 20 minutes later, two well-dressed men carrying briefcases arrived. They listened for a short time, and one spoke to the other. The two men left. Later Silvina learned that they were police officers sent by the two unhappy women. Perhaps three hours later, the meeting ended, and the visitors prepared to leave. “If you want to study more, let me know, and I’ll return,” Father said. Outside, Salvina jumped onto on her bicycle and followed Father and his friend to the road back to Ragusa. To Salvina’s surprise, the road was lined with hundreds of people on both sides. “Father, is there a religious festival going on?” Salvina asked. “Let’s pedal quickly so we can get through the crowd,” he said. The trio pedaled as fast as they could. Loud cries rose from the crowd. “We don’t need this kind of church,” someone said. “We don’t want Protestants here,” said another. People picked up stones and hurled them at the bicyclists. Salvina pedaled as fast as she could. A safe distance from the crowd, Father stopped to see whether anyone was injured. Everyone was fine. The three bowed their heads. No one from Rosolini asked Father to visit again. Father, whose name is Carmelo Mazza, faced many hardships sharing his faith. He rode his bicycle around Sicily, working as a photographer, after World War II. But he was not discouraged by the stone-throwing crowd in 1946 or any other difficulties. 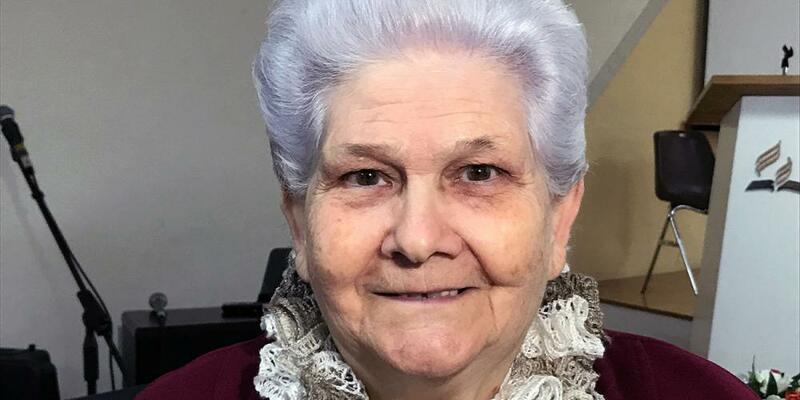 He and Giovanni opened the first Adventist church in Ragusa in 1952, and they also established three other churches in Mazzarrone, Modica, and Vittoria. Salvina is now 85, but she remembers the bicycle ride well. “It was a great miracle that I will never forget,” she said. After the attack, she always has been ready to speak about Jesus. She treated neighbors with patience and love when they snubbed her for her faith. She shared her faith in school even though classmates and the priest scoffed. Even now, she speaks with enthusiasm about her convictions. “I love to share the gospel,” she said. Part of a 2016 Thirteenth Sabbath Offering helped construct a new church building in Ragusa. Church members had met in rented premises since the church was established by Salvina’s father in 1952, and they are grateful and thrilled to have their own building. Thank you for your offering.